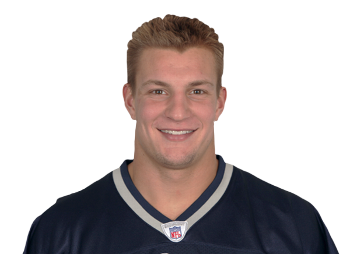 Rob Gronkowski is an American football tight end in the NFL. He played college football for the University of Arizona, and was selected by the New England Patriots in the second round of the 2010 NFL Draft. In 2011, Gronkowski, in his second season in the NFL, set the single-season record for touchdowns by a tight end, with 17 receiving touchdowns, and 18 overall. In doing so, he became the first tight end in NFL history to lead the league in receiving touchdowns. In his first three seasons, he has 38 receiving touchdowns in 43 games; no other tight end has had more than 25.